Miss Lucinda Parnell is an independent lady who wishes to retire to Bath with her Grandmama, must go through great lengths to acquire the funds to make her goals a reality. With the skills learned at her father’s knee, she dons a gentlemanly disguise and plays her hand at games of chance at establishments no proper lady should be. Andrew Wentworth, Earl of Dartford, has embraced danger and risk filled activities to distract him from fully mourning the loss of his family. In keeping people at arm’s length, he saves himself from suffering further losses. What happens when two people, who are content to live happily unattached, bump into each other? Fate intervenes and wreaks havoc on all their best laid plans. 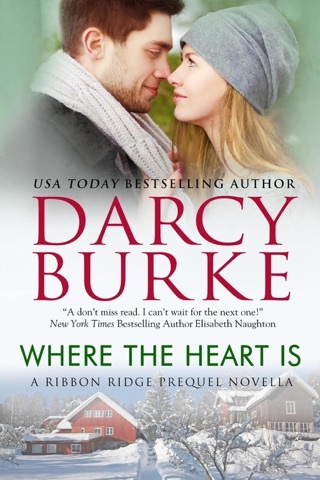 Darcy Burke’s second installment to The Untouchable Series is an amazing rollercoaster of emotions. I loved that Miss Parnell is very much an unconventional female, who is more comfortable with manly pursuits than needlepoint and the finer aspects of tittering. The Duke of Daring posed one of the greatest dilemmas that a bookworm faces: wanting to finish a book and yet not want the story to end. The moniker of Untouchable works in both sides of the coin in Darcy Burke’s series. Debutantes who failed at the marriage mart that is their coming out and eligible Dukes with reputations or personal histories that ensure their solitary lives. Fortunately for both, circumstances and attraction take precedence, allowing them to find happiness they once thought lost. Lucinda Parnell has had her season, and there is little money left for another. While she’s not interested in being a ‘thing’, even without offers, she decides to take matters into her own hands. Disgusing herself as a man and entering the gambling hells to win enough money to support herself and her grandmother in the country, she’s flouting convention and propriety. I really liked Lucy: she’s got skill and intelligence, and isn’t willing to bow to the pressure. Her family (read father) didn’t provide an income substantial enough to support her, but she won’t let that rule her life. Andrew Wentworth, Earl of Danforth has spent his entire life daring fate. After losing his family to illness, he’s still reeling from grief and the unwillingness to allow anyone close. He’s the first to dash into a situation, and the fates decided he should survive them all. Poor Andrew – he’s so stuck in his childhood self, abandoned and guilty, that nothing will fill that hole. Until he notices a woman, disguised as a man, at the table. These two are adorable together – if full of contradictions and stubbornness. 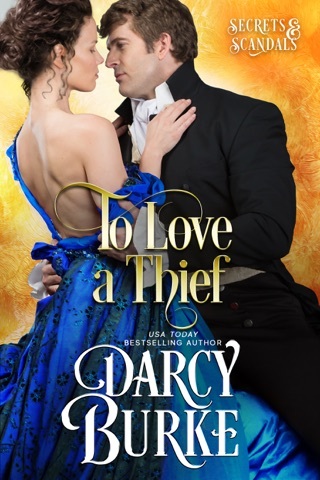 Andrew’s sense of honor won’t allow him to NOT step up to Lucy and offer aid, and Lucy is determined to go it on her own, not really trusting in the word or intentions of a man, never mind the man she and her friends dubbed The Duke of Daring. They’ve both been hurt, and neither is completely aware of just what holds them back. A curious journey of acquainting themselves with one another, developing a friendship and daring to explore the attraction that scares them to death. Of course, the push-pull between them is strong, as both are afraid to explore the connection and trust in someone else, and this back and forth did get frustrating as every moment of them together showed just how perfect they were together. But, Burke used the situations, dialogue and characterizations to build the story to its inevitable conclusion. While I didn’t love this as much as The Forbidden Duke, the story is solid and engaging, keeping me in the world and concerned about the couple’s fate to the end. I received an eArc copy of the title from the author via the tour company for purpose of honest review. I was not compensated for this review: all conclusions are my own responsibility.